By mixing up two popular themes, namely pirates and Irish culture, Microgaming have come up with Treasure Ireland, a 3-reel pokie that sees shamrock, lucky clover, a certain dark-coloured drink and a red-bearded pirate captain spinning up wins. Although there’s only a single win line, players can trigger a bonus game, receive extra rewards like Nudges and Holds, or land a hearty jackpot of 500x their bet value. There’s a big picture of a pirate ship forming a backdrop to the game, which sees details of the Nudge round and the title to the left of the reels and a paytable below them. This table shows how many times the stake will be returned to players when they line 3 matching symbols across the win line that runs through the centre of the reels. To decide how much that stake should be, they need to head to the controls below the game, where the bet can be adjusted from 0.10 per spin up to 10.00, while they can also set the reels to spin for up to 100 times without any input and arrange for the spins to stop once pre-set win or loss limits are reached. Lucky clover is the least valuable symbol, paying out 1x the bet amount when it lands across the line, while players will be Dublin their money when landing the skull and crossbones symbol, as it’s worth 2x their stake. 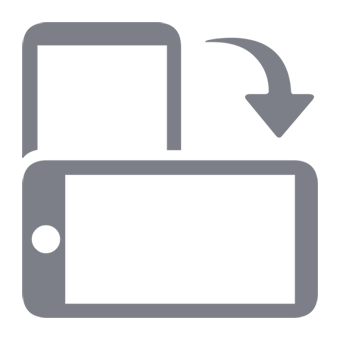 The Bar symbol, presented in a very Irish style, is worth 4x their stake, while the pints of stout are at 8x and the 7’s pay 10x. It all gets verypiratey from here on, with a blue parrot returning 20x the stake, the green-sailed ship pays out 40x and a treasure chest is worth 80x the bet. If our friendly pirate lands right across the win line, players will plunder the jackpot of 500x their bet. As symbols land on the reels, players will notice little treasure maps complete with an X marking the spot, attached to random ones. A bonus game is triggered when 3 symbols with maps can be seen at any one time, whereupon a new screen opens up with a number of pirates surrounding a board game. The game is played by clicking to spin a counter in the middle of the board, which moves players around the it, picking up extra treats along the way. These include cash awards, multiplier payouts and guaranteed winning spins, but landing on a question mark symbol ends the game, potentially with nothing gained so far. There’s also a Bonus square that lights up potatoes, with 3 of them awarding extra lives however, but to survive this bonus round players are probably best advised to collect the first thing won, rather than keep playing it and risking a loss. There are several further features here, with players being randomly awarded Nudges, Holds and some guaranteed winning Let ‘em Spin and Shifta bonuses. Nudges can line up winning combinations when players move a reel up or down a bit, while they can be banked for the next spin, gambled or repeated, while Holds can also result in a payout when players keep a reel or 2 in place and lets the others spin again. 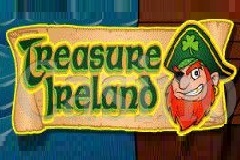 Treasure Ireland is a fun fusion of different genres, although it has to be said that the pirate theme dominates, with just a couple of Irish type symbols thrown in to justify the name. The basic gameplay is pretty entertaining however, especially when the random bonuses are triggered, although Nudges and Holds don’t necessarily result in a winning feature. Shiftas and Let ‘em Spins however, will let players simply click for a prize and of course the bonus game is a fun extra. Some players may find the upper bet limit of 10.00 too low, although most similar pokies from Microgaming have the same range, making them suitable for more casual players rather than serious gamblers looking for massive payouts. Talking of payouts, the 500x jackpot isn’t very high either, with 5,000.00 being the most that players can hope to win in a single spin. The trade-off is lots of smaller wins, so they won’t be spinning the reels over and over with no returns on their wagers.